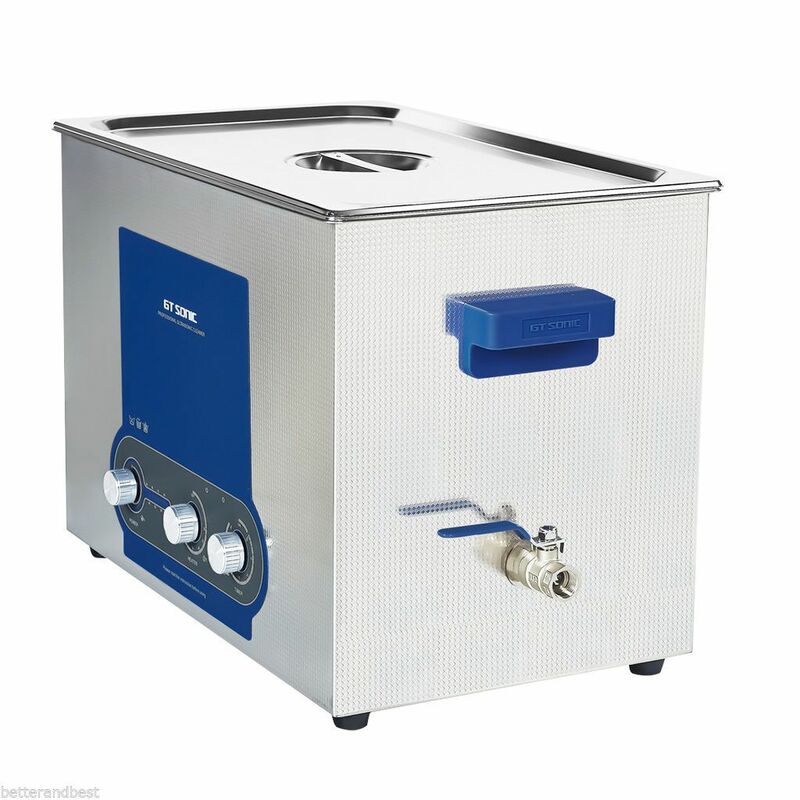 This large Ultrasonic Cleaner with an all Stainless Steel tank and body is perfect for industrial and professional jewellers, clock makers, engineers, etc. The main feature is the power can be reduced when cleaning delicate items from 100% down to 30%. It has a 27 litre Ultrasonic Tank and manual (dial) controls for the temperature and timer setting. 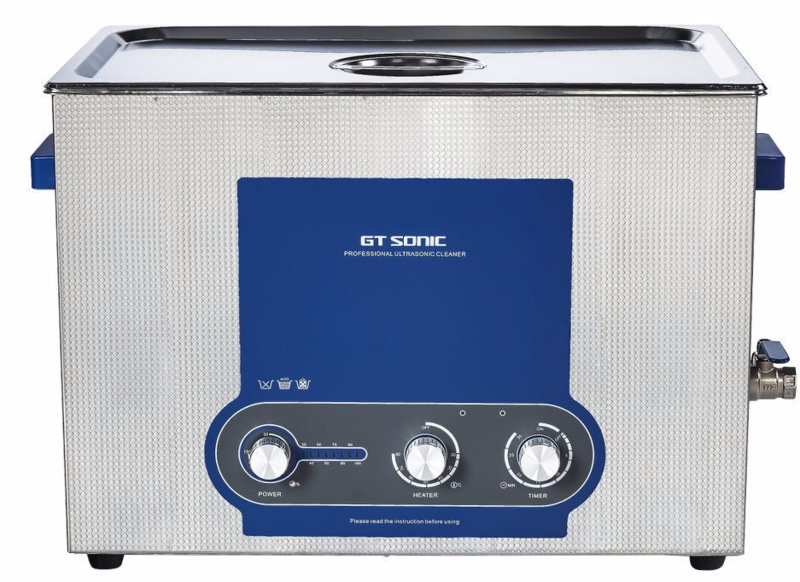 The ultrasonic cleaning bath will remove dirt, grease etc. 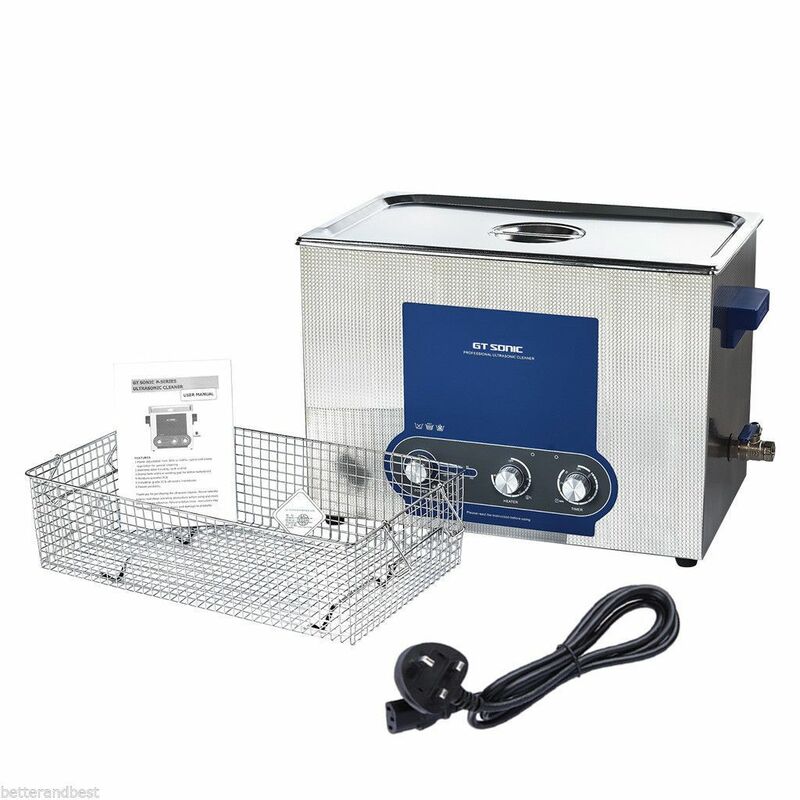 The ultrasonic cleaner can be used for cleaning electronic and mechanical parts. For best results use appropriate cleaning fluid or solvent suitable for the item.